Explosion proof lighting plays a significant role in hazardous locations. With the help of explosion proof EXI linear LED lights in confined hazardous spaces, the risks of explosion as a result of dangerous gases like propane and methane is drastically reduced. Maes Lighting is one of the unique explosion proof EXI linear LED lights wholesaler in Broken Arrow, Oklahoma. In all industrial facilities, it is vital to make certain the security and safety of employees. Employees can be protected from disaster in confined spaces, if they use lighting fixtures that are capable of avoiding tragic happenings due to flammable materials. 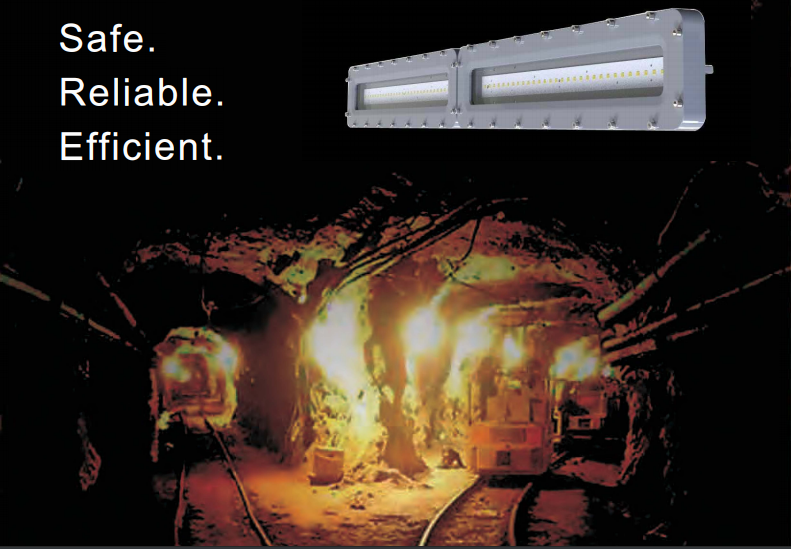 The main feature of explosion proof EXI linear LED light is to put off an explosion from escaping, where it could lead to serious harm to workers or ignite flammable substances with low flash points in the facility. To prevent the destruction of the unit, explosion proof lighting are equipped with high quality rubber gaskets. The conduit also entails lasting packaging to stop gases from transferring out of the protective wiring. Explosion proof EXI linear LED lights rely on a strong design to proactively prevent sparks and ignition. The designation ‘explosion proof’ doesn’t mean that the lighting fixture will endure explosions or fires completely intact. What it means is that the light fixture is designed in such a way that it can contain sparks that would otherwise cause fire or explosion in confined spaces. Confined spaces are complex in nature due to their isolated and gloomy conditions. The existence of harmful gases or dust further increases the risks of working in such environments. Examples of hazardous confined spaces include ship tanks and chemical storage units. Explosion proof EXI linear LED lighting fixture is encased in a thick frame with extremely vigorous lenses. The fixture creates a pathway between sources of ignition that might exist in the environment where light fixture is installed. Thicker frames and lenses with complex pathways add to a more durable and stronger fixture. We at Maes Lighting offer world class H Series Class 2 Division 1 Linear LED lights at amazing prices. Through highly trained staff and a strong work ethic, Maes Lighting strives to offer unsurpassed customer satisfaction. We continually educate ourselves and maintain our operation with industrial and environmental standards in mind.